For demonstrated excellence throughout their distinguished careers, each year Grady College graduates are selected as Alumni Award recipients. Named after the late John Holliman, Grady alumnus and former CNN reporter, the John Holliman Jr. 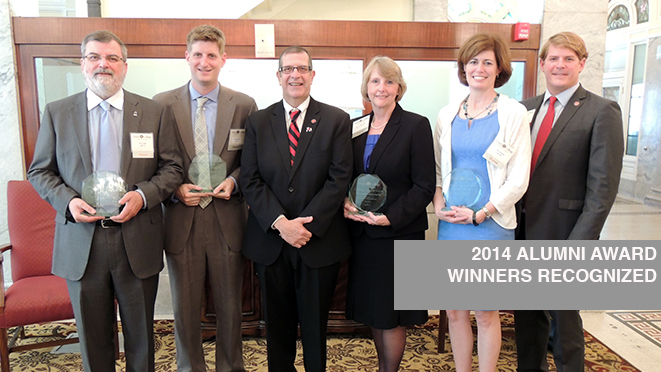 Lifetime Achievement Award honors sustained contributions to the profession throughout a career. The Henry W. Grady Award honors a mid-career graduate who has been influential in his or her field. 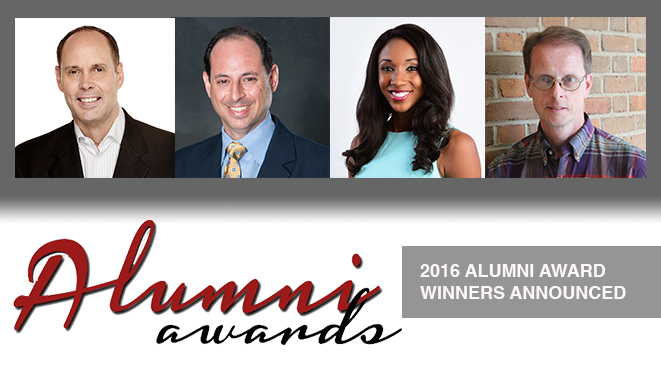 The John E. Drewry Young Alumni Award recognizes a graduate of the last decade who has experienced a successful early career. The Distinguished Scholar Award honors an alumnus for excellence and sustained contributions to scholarship in journalism and mass communication education. Jisu Huh (MA ’00, PhD ‘03), the Raymond O. Mithun Endowed Chair in Advertising and Director of Graduate Studies at the Hubbard School of Journalism and Mass Communication at the University of Minnesota, is the 2018 recipient of the Distinguished Alumni Scholar Award, presented by Grady College. The award honors an alumnus/a for excellence and sustained contributions to scholarship in journalism and mass communication education. “Grady College is where I was born again as a scholar and being recognized as a distinguished scholar is an honor that means so much to me,” Huh said. 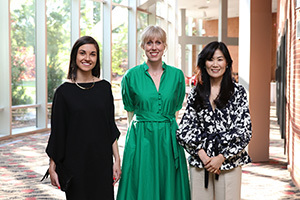 She talked about the challenges she had coming to the United States from Korea, and credited her Grady professors who challenged and supported her and encouraged her to persevere. 2018 – Ashley Huston (ABJ’96). 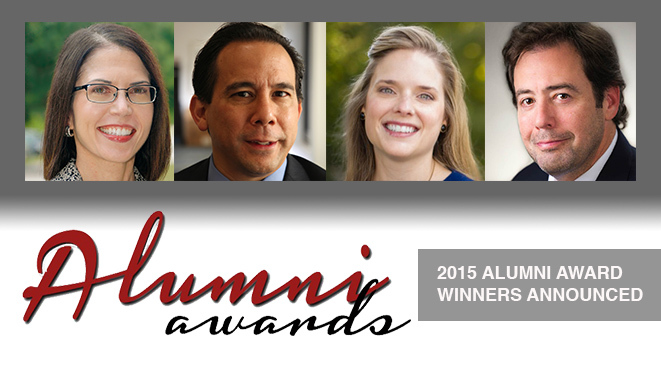 We accept alumni award nominations for deserving Grady College graduates year round.